For the past few weeks as my knee has finally been getting better, I’ve been able to ramp up the mileage and do longer rides. While going on longer rides, it’s also getting colder out here and I need extra calories to fuel my rides. As I don’t digest well processed food and most energy gels/chews/bars – they give me stomach aches – I’ve been bringing homemade marzipan with me on those rides. 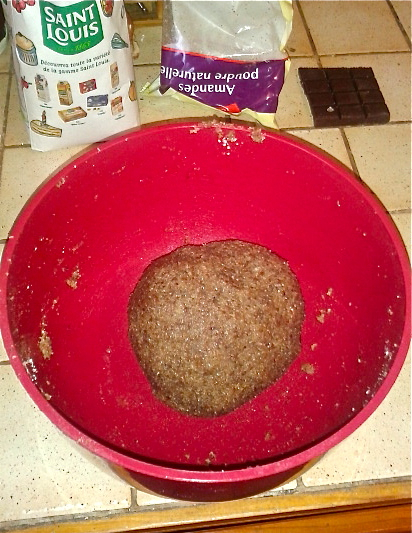 Marzipan is ready in a couple minutes: almond meal, sugar, water, mix them up, make a ball of it, wrap in plastic and take with you; but it would be bice to have something with extra taste to bring on the trails. The acronym came up as I was writung down the recipe: Almond, Banana, Chocolate and Coconut. 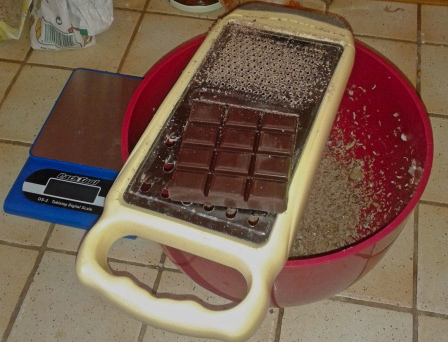 In a ball, mash the banana and grate the chocolate with a cheese grater over it. Mix well and set aside. In a bigger ball, stir the almond meal and sugar. 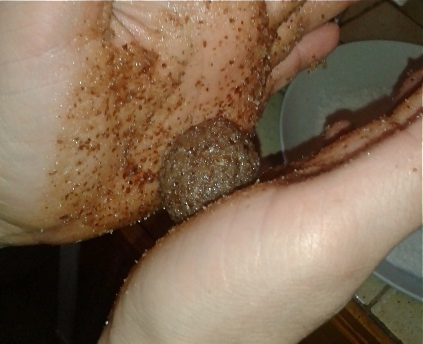 Add the water, mix with your hands and it form a ball with the dough. 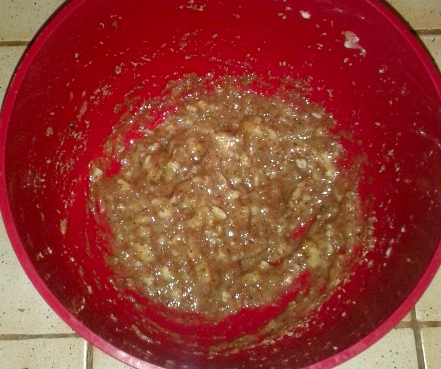 Add the banana/chocolate mix to the dough and keep mixing with your hands, so it forms an homogeneous dough. Form 2 centimeters of diameter balls and place on a chopping board. 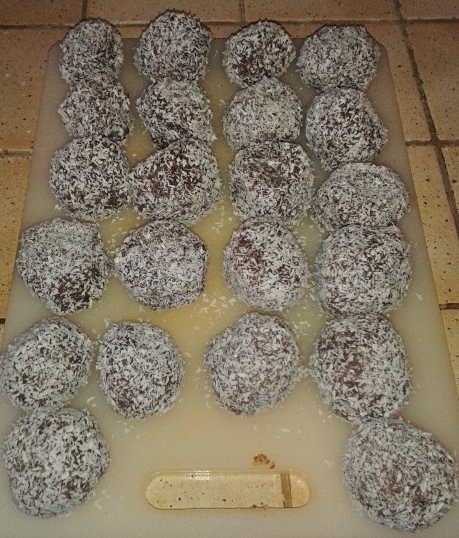 Pour the coconut flakes in a plate and roll the newly formed energy balls in them so they are fully covered of them. A.B.Cs energy balls can be eaten right away or frozen to take along on your next rides.